Nottingham Law School has an excellent reputation and is committed to offering extra-curricular and pro bono activities to students. "At A-level I studied Law and Psychology and thoroughly enjoyed both subjects. When I found that Nottingham Law School offered this combination I felt that this was the right option for me. What particularly attracted me to the LLB Law with Psychology degree was the interaction of the two subject areas within the criminal justice system. Also, the course is a Qualifying Law Degree, which is essential to progress within the legal profession, and I felt that the Psychology modules would equip me with that extra knowledge that would set me apart from other students. "I thoroughly enjoyed Contract Law, as I felt that it was a module that can be directly related to everyday transactions. I found the meticulous nature of the work very appealing, which meant that I really enjoyed the seminars and group discussions. Moreover, I am currently studying a Legal Psychology module that incorporates both Law and Psychology through issues such as false confessions and arrests and am finding this area particularly interesting. "A feature that is particularly appealing about this course, which I didn't find at other universities, is the mooting opportunities. Throughout the degree, in both the Contract Law and Criminal Law modules, there was both a single and group moot; I relished this experience as it gave me a flavour of advocacy, which was really useful when deciding whether to pursue the Legal Practice Course (LPC) or Bar Professional Training Course (BPTC), respective career paths for becoming a solicitor or barrister. "Nottingham Trent University especially appealed to me as its Law School has an excellent reputation and is committed to offering extra-curricular and pro bono activities to students. I was selected to work in the NLS Legal Advice Centre and it has been one of the highlights of my degree. I have had the opportunity to advise on areas of law such as Family, Employment and Housing, and throughout this whole process the supervisors have been really supportive. This experience has given me a real insight into the work of a solicitor and affirmed my decision to undertake the LPC after graduation. "The Boots library is open 24-7 and offers a range of materials and resources to enable you to consolidate your learning from lectures, including laptops which are essential during the exam period. The Student Support team at the University are committed to providing personal support to each student requiring their services and work towards ensuring that your time at the University is both enjoyable and manageable. I have taken advantage of these facilities throughout my degree, which have added to my positive experience. NTU also maintains strong links with its alumni and regional and national law firms, enabling them to offer mentoring schemes to students. 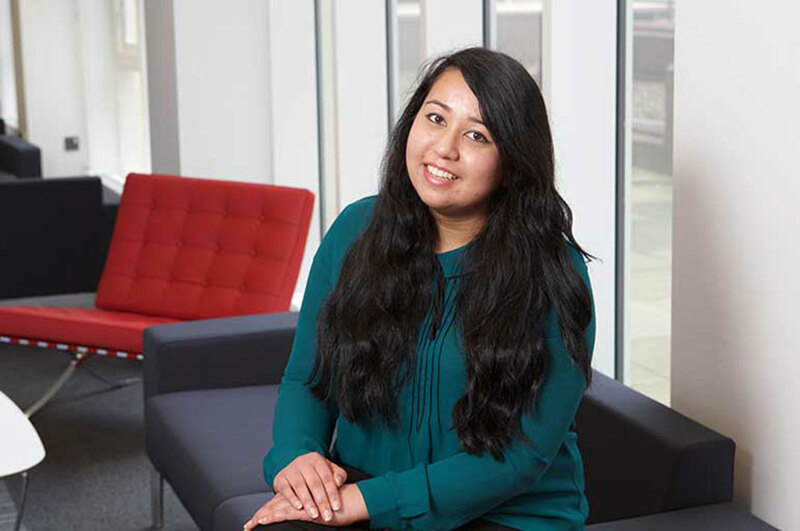 "To new students that are hoping to pursue any kind of legal career, I would strongly recommend that you get involved with pro bono opportunities, the International Summer Schools scheme and national mooting competitions, which will be available to you throughout your degree with Nottingham Law School. This will help build your CV and will stand you in good stead for training contract applications. I would advise that students don't hold back and make the most of the opportunities available in order to progress and achieve your ambitions."